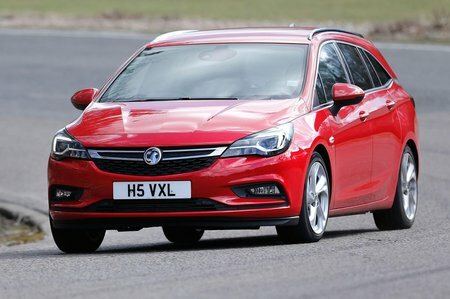 Vauxhall Astra Sports Tourer Performance, Engine, Ride, Handling | What Car? 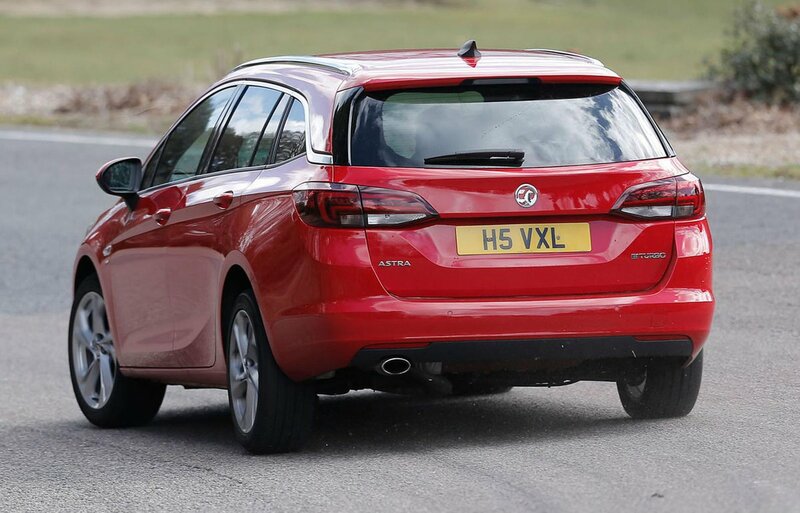 The list of engines for the Astra Sports Tourer consists of three turbocharged petrols and two diesel engines. The smallest 1.0-litre petrol is surprisingly punchy, but is only offered with a five-speed manual gearbox while other engines get a six-speed. This can mean that maintaining motorway speeds can cause the engine to seem a little strained. It’s quiet and free from vibration, though, and will more than suit regular town drivers. We haven’t tried the turbocharged 1.4-litre petrols, although our experience in other Vauxhall models powered by them suggests they’ll be entertainingly punchy and refined. There are two 1.6-litre diesels, with 109bhp and 134bhp. We haven’t tried the lower powered version, although given its impressively low emissions and decent torque outputs, it could be a good shout for company car buyers. The higher-powered diesel is still our pick, as it feels by far the gutsier of the two and doesn’t push up the price tag or running costs too much. On twistier roads, the Astra handles well and seems quite keen to change direction, with less body lean during hard cornering than you’ll experience in most rivals. The Ford Focus Estate is still a more fluid, involving drive, though. This, in part, is down to the Vauxhall’s steering, which is a little too light and doesn’t build in weight quickly enough when you turn in to fast corners. The flipside of this is that the Astra’s ride is firmer than in some rivals. It falls short of the excellent damping that lets the Ford Focus strike the best ride and handling balance in the class. That’s not to say that the Astra is ever uncomfortable; it softens sharp-edged bumps quite well and isn’t unsettled by mid-corner intrusions, but you do get a bit of a thump and fidget over scruffy roads. It’s still better than the Octavia for ride comfort, though. Refinement is very good with the petrol engines, but the diesel models suffer from quite a bit of vibration when the engine starts up and at low speeds, and there’s a very noticeable diesel dirge whenever you accelerate hard.